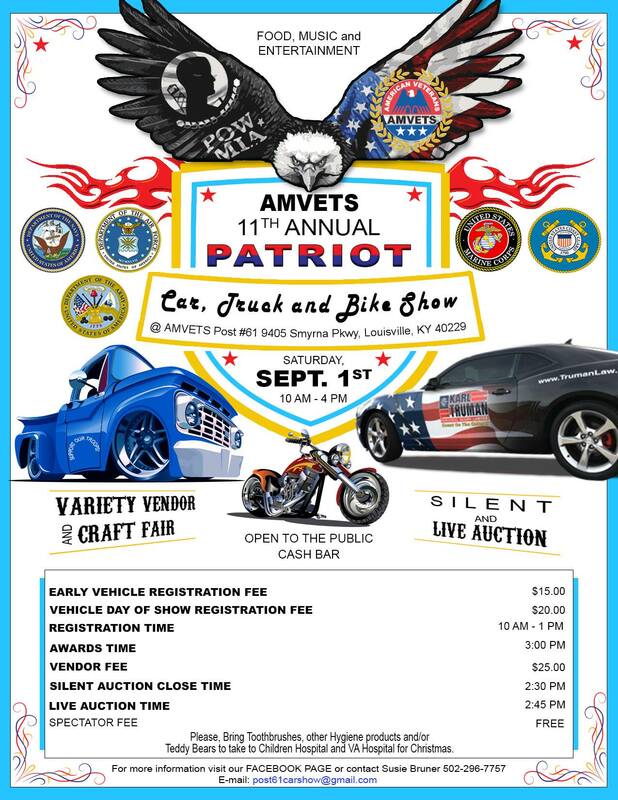 Join us for the Amvets Post 61 11th annual car truck and bike show! Better to pre-register so you don’t have to stand in line. Get them in. Going to be a great show!